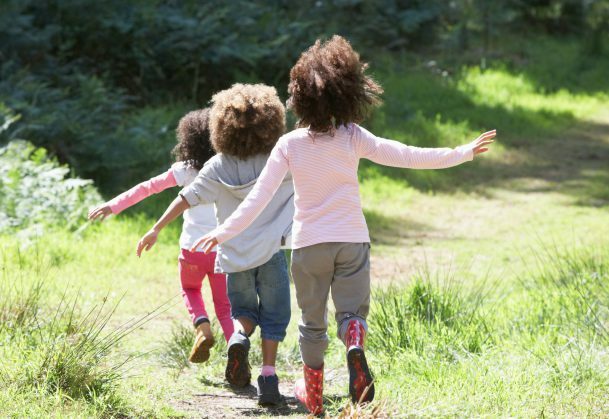 Older siblings and cultural wisdom have both perpetuated the notion that birth order – whether you’re the oldest child, the youngest, or fall somewhere in the middle — can shape individual characteristics. Despite widespread belief, various analyses including a 45-year-old meta-analysis and two 2015 studies with large samples have found no evidence for birth-order effects on the Big Five personality traits (i.e., Openness, Conscientiousness, Extroversion, Agreeableness, and Neuroticism). Further study into birth order and narrower personality categories have shown mixed and conflicting results. For example, some studies have indicated that firstborns have a more internal locus of control—they believe they have more control over the outcome of their lives. Psychological scientists have explained this finding by suggesting that older siblings provide care for younger ones, which cultivates the notion of control. Other studies have found the opposite relationship, with data suggesting that firstborns attribute control over outcomes to external forces. In this case, the explanation holds that the external locus results from increased parental attention. Other studies have found no significant differences in external versus internal locus of control measures. But with mixed findings and multiple plausible explanations, the question remains: Where does the truth lie? Methodology likely accounts for some of the disagreement. Certain studies control for different effects, use different types of analysis, or take narrow samples (e.g., only testing two-sibling families). Despite the general messiness, one outcome has consistently been linked with birth order: Older siblings tend to self-report higher intellect relative to younger siblings. The effect is small, but older siblings may still have something to brag about. In a new study, Rohrer and coauthors from the University of Leipzig and Johannes Gutenberg University of Mainz examine data from 10,000 participants and find a similar link between older siblings and intellect — but they find no birth-order associations with eight other narrow personality traits. Typically, when researchers analyze data, they make many choices along the way that affect their outcomes, intentionally or not. To identify the effects of these “experimenter degrees of freedom,” Rohrer and coauthors adopted a relatively new statistical approach in their study that allowed them to run hundreds of analyses, or “specifications,” for each personality trait. Each analysis represented a single method by which researchers could analyze the data. After the hundreds of analyses were finished, the researchers were able to visualize the distribution of results to see how different analytical choices might influence the overall outcome of the analysis. The research team ran more than 7,000 analyses using this technique – called specification-curve analysis — and found no associations between birth order and individual traits such as life satisfaction, trust, risk taking, patience, or political orientation. The findings are published in Psychological Science.